What a perfect St. Valentine's Day. 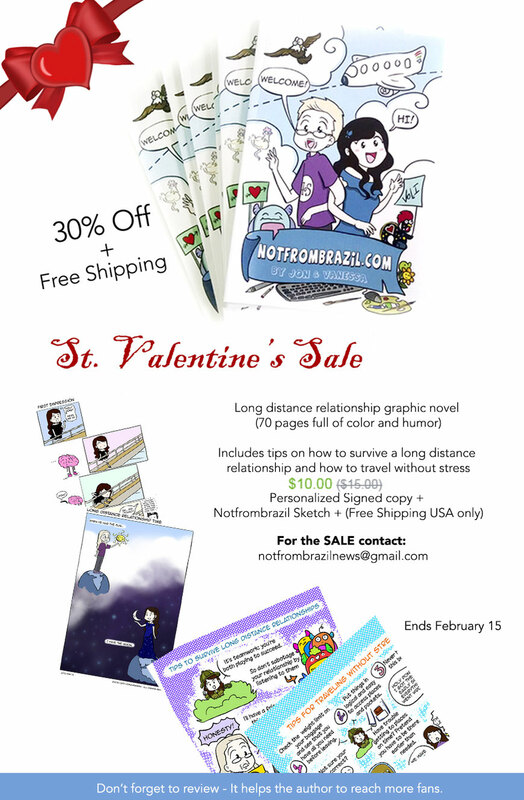 A very funny and relatable Long Distance Relationship Graphic novel book with extra tips on how to survive a long distance relationship and how to travel without stress. All in comics format. 70 Pages full color comic book. On Sale.